Licensed cannabis producer Aphria Inc. warned on Friday of product shortages in both brick-and-mortar stores and online sales portals across the country when recreational pot is legalized in a few days. There are "supply chain issues abounding everywhere with every LP," said Aphria's chief executive Vic Neufeld told analysts. "There will not be any complete satisfaction by any of the provincial regulators out of the box," he said during a call to discuss the Leamington, Ont.-based company's latest earnings. "The pipeline fill is not going to be there. But that's just the short term." "Sold out signs" on online cannabis sales portals across the country are likely, he added. Aphria's comments come just days before Canada gears up to legalize recreational cannabis on Oct. 17, becoming one of the few countries around the world to have done so. Government-run and private retailers are racing to prepare brick-and-mortar stores and e-commerce portals for business on day one and licensed producers have ramped up production amid concerns about product shortfalls, at least in the short term. Canada's supply of legal cannabis at current production levels is estimated to meet just 30 to 60 per cent of total demand, according to a report from think-tank C.D. Howe Institute released this week. 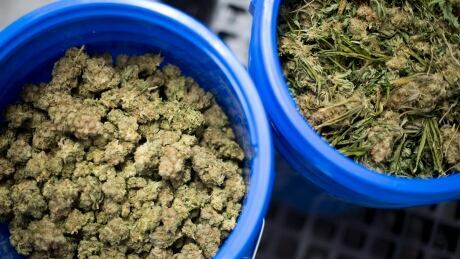 The estimated demand across the country is roughly 610.6 tonnes but the forecasted available marijuana supply in the fourth quarter of this year is just 146.13 tonnes, the authors said. However, the authors note that the shortage is likely "short-lived" as more producers are licensed and production capacities expand over time. Aphria's shortages are likely to be resolved after two or three months, Neufeld said. There's a host of issues resulting in a supply bottleneck including delays in receiving required government excise stamps for its products, and the time and manpower needed to start applying them to products, said Neufeld. Aphria said during its latest financial quarter, ended Aug. 31, that it was "unable to fill all of the open greenhouse positions due to a lack of qualified local labour, which left it with insufficient staff to harvest the levels of production produced in the Aphria One greenhouse." "As a result of the lower staff levels, one week's crop rotation outgrew its optimal harvest period," the company said in its management discussion and analysis. Still, the company's latest earnings showed year-over-year growth in revenues and profit. The marijuana firm earned nearly $21.2 million in its latest quarter, up from $15 million in the same quarter a year ago. Aphria's profit amounted to nine cents per diluted share compared with a profit of 10 cents per diluted share in the same quarter last year when it had fewer shares outstanding. Revenue for the three-month period ending Aug. 31 totalled $13.3 million, up from $6.1 million. Aphria attributed the increase in its earnings to gains in investments in Liberty Health Sciences and Hiku Brands Co. Ltd., and an increase in fair value of biological assets caused by a production increase. Shares of Aphria shot higher earlier this week after a report that U.S. tobacco giant Altria Group Inc. was in talks with the licensed cannabis producer to acquire an equity stake. Aphria reiterated to analysts on Thursday that while it engages in discussions with potential partners or investors at times, there was no agreement, understanding or arrangement in place with a potential investor.